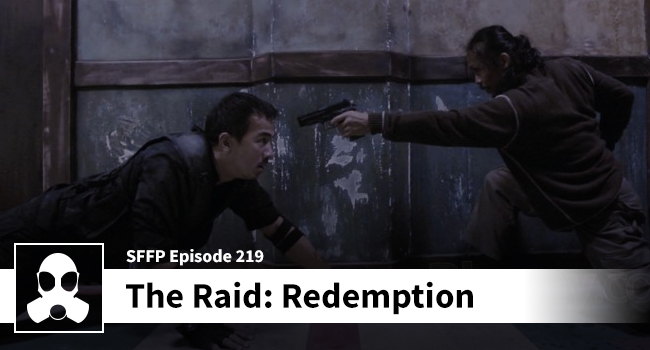 Coming in hot with coverage of “The Raid: Redemption”! Dean “Rama” Martin is in a mood and firing from the hip this week while Matthew “Mad-Dog” Anderson proves to be the anchor and the only one displaying any level of professionalism. This should concern you. If the rails are anyway in sight, please let Matthew and Dean know where they are, so they can get back on track in their coverage of this fan-favorite. In their floundering the lads manage to talk marital arts flicks, fight choreography, and the best and worst of this Gareth Evans punch-em-shoot-em-up.